To the novice trainer, the world of exercise is often bewildering. More so when the goal is weight loss. Usually, the first question is, what do I do? Followed relatively quickly by, how do I do it? And finally, how long do I do it for? In fact, one of the most frequent questions we’re asked is, ‘what’s the best fat burning exercise’. The answer is simple: the one you enjoy doing. What everyone doesn’t realise is that, fat-loss-wise, it makes little or no difference what type of training you undertake. Therefore, you may as well do something that you’re likely do more often and with more vigour. This doesn’t mean that exercise, in general terms is pointless, because training is a vital part of a healthy lifestyle. It helps you to keep your metabolic engine running and has some great mental benefits. It’s just that humans burn such tiny amounts of fat during exercise. Evolution has designed our physiology use fat frugally, especially during activity. Sorry, but the very best fat-burning that an average person can achieve from exercise is about 60k/cals of fat for every 100k/cals burnt. 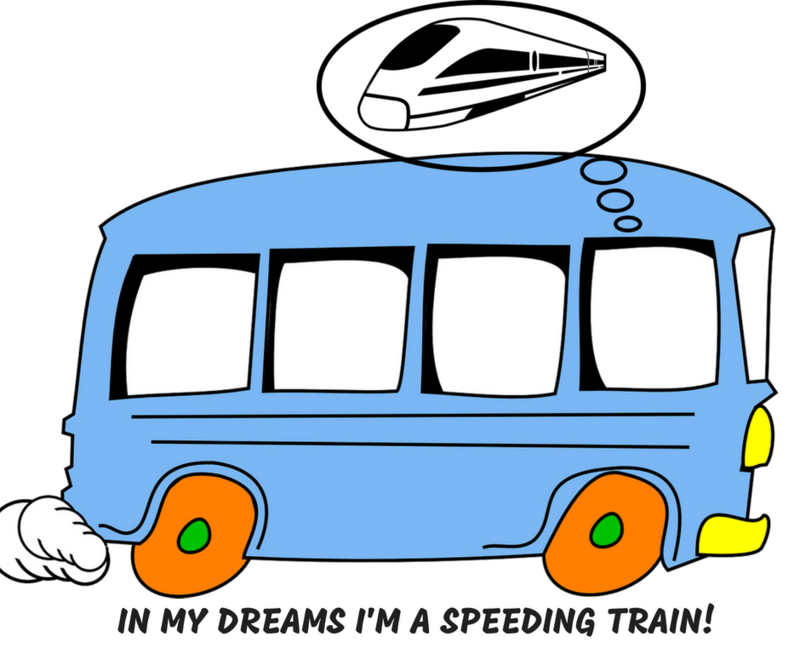 You may hope your metabolism is the fat-burning equivalent of a high-speed train. Unfortunately, however, it’s merely the replacement bus service! Often, one of the hardest things about exercise is the thought of it, so try and find something that you enjoy. It may be a Zumba class, boxercise, playing badminton, or going for a brisk walk through the park. If you don’t fancy training by yourself, find a suitable class or get some friends together and hire a trainer for a group session. Try anything and everything, because there will be something out there that you’ll like. Just get off your backside, lace up your trainers and get going – your body will thank you for it. So, to keep this article short and sweet, we’re not looking at specific training such as football or boxing per se. Instead, we’re just going to consider the general categories that any form of exercise can fall within. Also, we’ll look at the physical and mental benefits of exercise as well. We’ll start with an overview of your training options. Sorry, we lied about this because you only have three. Doing nothing is not an option if you want to be healthy and get in shape. So, the first rule is: anything is better than nothing. The problem here is that ‘anything’ is so vast, it’s borderline infinite. We’ve both been training for over thirty years and there’s loads of stuff that we haven’t even tried yet. What type of training should I do? Most types of exercise fall into three, broad categories: aerobics, cardio-vascular (CV) and resistance. Basically, aerobic activity is when you’re breathing harder than normal but you could still hold a conversation. Calorie expenditure is relatively low at about 300-400k/cals per hour. On average, approx. 60% of the calories burnt will come from your fat stores. CV and aerobics are interchangeable terms, and both are often referred to as ‘fat burners’. However, CV is technically a step up in intensity and requires more effort. It’s usually performed to increase fitness and heart and lung capacity. However, CV training also burns both calories and fat very effectively. With CV, talking is much harder. In fact, at times you may wish you could breathe through your ears as well as your nose and mouth. Calorie expenditure for CV is higher than aerobics. Depending upon fitness levels, it’s usually between 500-600k/cals per hour. On average, approx. 45% of the calories burnt will come from your fat stores. This is where you are lifting, pushing or pulling against something and requires short bursts of high intensity effort. It often refers to weight-training but also includes your own body-weight as well, e.g., press-ups. Calorie expenditure can vary widely with resistance training. For example, a power-lifting session with heavy weights, low-reps and long rest times will only burn about 250-k/cals. A body-building workout with moderate weights, reps and rest times may come in at around 400-k/cals. Yet a circuits-style workout with light weights, high reps and very little rest between sets can hit over 600-k/cals. It’s worth noting that high intensity training also elevates the metabolic rate for up to 48 hours after the workout. CV is good for this, but all forms of resistance training are even better. Humans burn about 5k/cals of energy per litre of oxygen that they metabolise. Essentially, the harder you are breathing then the more calories you are burning (lung conditions not withstanding). To capitalise on this effect, beginners should aim for easier, but more frequent workouts. All forms of exercise need some time for metabolic recovery. Very simply, the harder you train, the more recovery you need. Aerobic, CV and resistance training are not mutually exclusive. If possible, you should try and incorporate all three disciplines into your general programme. One option is to perform each variation on different days, e.g. jogging on Monday, weights on Wednesday and a circuit class on Friday. Alternatively, you can perform resistance style training first, then finish the workout with some CV or aerobic training. What are the physical benefits of exercise? From the first workout, you may not look better, but you’ll feel better. Within a few sessions however, you should notice some improved muscle tone and a healthier cardiovascular system. If you suffer from type-2 diabetes or similar metabolic condition, you should quickly notice an improvement in blood sugar control. Eventually, you will develop greater bone density and stronger joints, tendons and ligaments. Whilst exercise may not make a massive contribution to weight loss, it will help to curb unwanted weight coming back. For this reason, it’s vital to develop a regular training habit now. Your workouts will then help to offset any increase in calories when you’ve hit your targets. What about the mental benefits of exercise? All forms of training are great for dealing with stress. This is not just during the workout but afterwards as well. Physical activity releases built-up tension, both physical and mental. The release of post-workout endorphins (morphine-type chemicals) promote a feeling of relaxation, satisfaction and well-being. It also improves sleep. People who exercise regularly live longer and their quality of life is better. Training intensity is very subjective. For some, the workout must be challenging to the point of impossible for it to feel beneficial. Yet for others, it needs to be more stimulating rather than annihilating. The general rule is that it’s not necessary to undergo a ‘near-death experience every time you put your trainers on! If you push yourself to the point of discomfort, you will make good progress. Adapting to exercise is not unlike getting a suntan. When exposed to the sun, the skin darkens to reduce the damaging effect of UV light. Likewise, training damages the muscles and CV system. This forces the body to make improvements in strength and fitness; a process called Progressive Overload. Like the suntan, it’s very easy to overdo – especially at first. You wouldn’t rate your holiday by the severity of your sunburn. Therefore, don’t gauge your training by the pain your suffering or your post-workout soreness. Post-workout soreness or DOMS (Delayed Onset Muscle Soreness) is inevitable when you perform something that you’ve never done before. It usually kicks in about 24 hours after training and reduces slowly over the next few days. It’s always the worst for the first couple of times and as your body adapts, it gets less and less. Excess amounts of CV and aerobics will make you look like a TOFI: Thin Outside, Fat Inside. Or what we call a thin/fat person. In clothes, you look slim but undressed you look flabby, so make sure you put in some form of resistance training to keep the muscles toned. As we noted at the beginning, this is very much a beginner’s guide to what is an incredibly complex topic. If you would like to learn more, check out our books. And you’re more than welcome to get in touch. We (Paul and Ann, Get Physical Ltd) are not doctors, nor are we licensed medical professionals. This website and blog is not here to diagnose any medical condition or replace your health care provider. Paul Lonsdale, thanks!And thanks for sharing your great posts every week! It’s always nice to know that someone is reading our articles.